This study will open the door to reflecting on the Protestant Reformations and stimulate the desire for more church and individual study of this important topic. Explore the backgrounds to the Reformations and then each of the four Reformation traditions. Consider divisive theological issues focusing on just three of the important matters where each of the traditions has unique views. Finally, look at the Reformations today regarding their influences and legacies, as well as the Reformation in today's churches. A Glossary of Key Terms is included to help navigate this work. Being Reformed: Faith Seeking Understanding is a series of biblically based mini-courses that provides adults with a foundational understanding of the Reformed faith. Each six-session study is written by well-known and respected scholars and features Scripture, prayer, in-depth commentary, and questions for reflection. 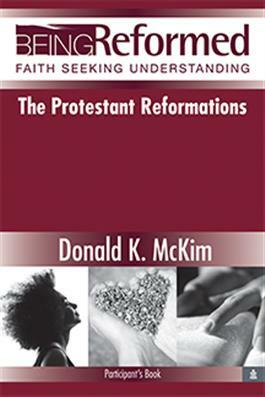 Each study addresses its subject from a Reformed theological perspective.